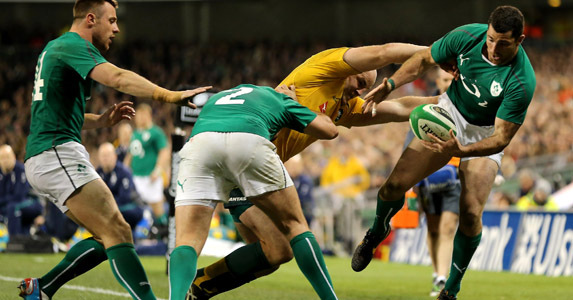 IRELAND’S PERFORMANCE against Australia was riddled with errors and they were punished for each and every one of them. But as Joe Schmidt himself said, “We’re a work in progress” so without compounding them with too much negativity, nor wanting to patronize, here are five things we’ve learned. It doesn’t matter how much ball a team has, if they don’t use it wisely, then they’re already losing. Given the number of times Ireland kicked it into the hands of one of the world’s best full backs, Israel Folau, it’s actually surprising to discover the amount of possession and territory they had. From Australia’s point of view, they scored four tries, conceded none, played nearly twenty minutes with fourteen men and still won the match with only 35% of the ball. It’s no wonder Ewen McKenzie called it their ‘most complete performance’ to date. It’s as simple as this: Australia took their chances. And for a lot of that time, the Irish defence had ringside seats for the crossovers. 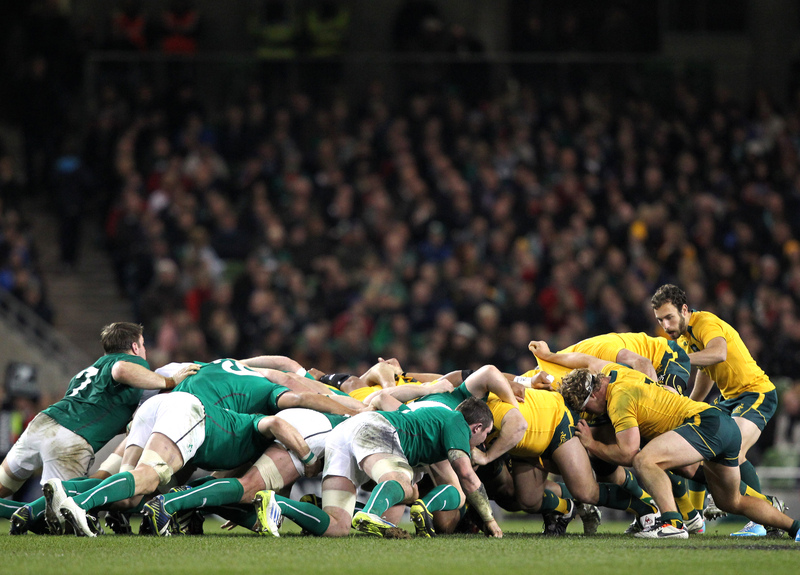 The scrum was viewed as an area of weakness in the Wallabies and one Ireland could target. 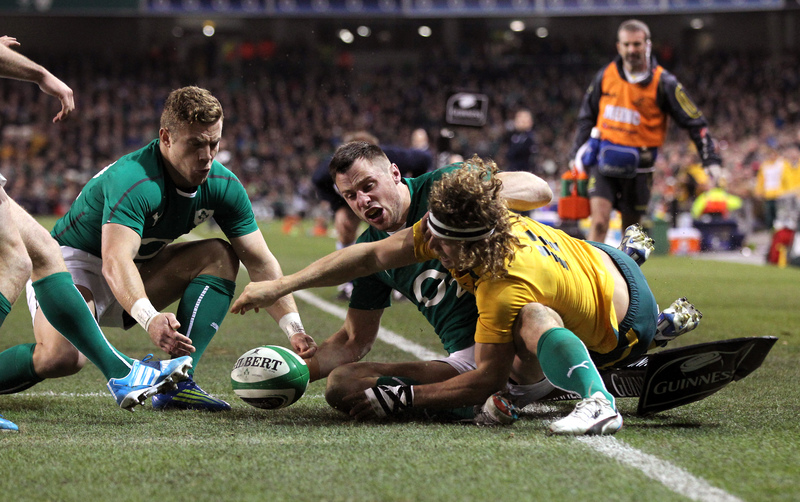 Losing three of seven from their own put in is not something Ireland will have considered and given Australia’s scrum was viewed as the weakest in the Rugby Championship, it makes next week’s task against New Zealand even greater. Overall the lineout faired better, but losing their first of the game will have shaken the Irish pack who, under Paul O’Connell’s guidance, have always prided themselves in this area. Jonathan Sexton’s departure with a hamstring injury on the stroke of half time was a game-changer. That’s not to say Ireland would have won, or deserved to win had he been on the pitch for the full 80, but Sexton was instrumental in bringing Ireland back from twelve points down to three at the break. It was a tough ask for Madigan to come on at that stage in such a tight game but, with the exception of Luke Marshall, he was surrounded by regular test internationals in the Irish back division. Their experience and know-how should have soaked up some of the pressure on the youngsters. The recently retired Ronan O’Gara and Shane Horgan commented afterwards on the Irish players’ reaction to Kevita Kuridrani’s tip tackle on Peter O’Mahony. Neither could believe his team-mates weren’t riled by this attack on one of their own and didn’t wade in to protest against the Wallaby’s actions. Does this show a lack of passion or unity? Understandably, players hate to have their commitment questioned, but clearly it’s early days for a side who haven’t bonded enough yet that they’d do anything for each other on the pitch. There wasn’t much for the home crowd to smile about at the Aviva Stadium but remarkably, with Ireland trailing by nine points in the first half, as the cameras panned to Joe Schmidt on the big screen, a big cheer went out. When the New Zealander took over at Leinster they had just won the Heineken Cup under Michael Cheika and started the season with three defeats from their first four games. But after that, Schmidt’s men lost only four games in all competitions as they made their way to the Magner’s League final and retaining the Heineken Cup. So even though the Kiwi is under pressure to deliver, Irish fans will and should be patient, giving him time to make the step from club to international coach. It’s a big transition for a player and coaches are no different. By the end of the Six Nations, and certainly by this time next year, we should have a clearer picture of what direction the national side will take under the new management.